Special Duty Summary. Inspects, operates, and secures armament systems and subsystems, and performs aircrew functions under training, combat, or testing conditions. Instructs unit gunners concerning airborne weapon systems, procedures, and tactics. Related DoD Occupational Subgroup: 646. Operates airborne weapon systems and associated equipment. Performs preflight and postflight inspections of guns, defensive systems, and related aircraft equipment. Briefs passengers as required. Participates as a crewmember during training, combat, and test missions. Uses night vision goggles (NVGs) to perform scanner duties in relation to particular aircraft type and mission. Operates aircraft systems, auxiliary, and rescue equipment as dictated by mission requirements. Assists and coordinates with other positions to ensure safe employment of weapons, defensive systems, hoist, and related equipment. Performs aerial gunner functions as dictated by aircraft and mission type during integrated air or ground operations. Maintains munitions account or sub-account and forcasts for ammunition requirements to include flares and small ammunition. Positions and manages ammunition and weapon systems to ensure maximum economy of force. Assists the flight engineer during aircraft emergencies and remote operations. Performs inflight maintenance of airborne weapons systems and associated equipment. Ensures maximum availability and utilization of weapon systems. Performs all prestrike, strike, and poststrike requirements with special emphasis on malfunction analysis and repair. Applies quick and decisive action to restore malfunctioning systems to operational condition. Conducts thorough airborne analysis and evaluation of weapons and defensive systems and associated equipment. Documents all malfunctions and discrepancies. 2.3. Adheres to flying, weapon, and explosive safety standards, conducts inflight and ground training in all facets of aircrew duties, airborne guns, defensive systems, and related equipment. Plans, organizes, and directs aerial gunner activities. Establishes standards governing safety, work methods, and procedures. Provides resources, equipment, directives, and technical information appropriate to the mission and assigned aircraft. Evaluates operational efficiency of aircrews and systems. Analyzes trends affecting aircrew performance and takes necessary action. Knowledge. Knowledge is mandatory of: theory and application of electrical, mechanical, and hydraulic principles applying to airborne weapons and allied equipment, components, and systems; employment and care of ammunition and ammunition systems: principles of gun employment and ballistic factors; use of personal equipment, oxygen, and communications systems; aircraft emergency equipment and procedures, gun malfunction analysis and repair; use and interpretation of diagrams, schematics, charts, technical publications, explosive safety, and flight manuals. Education. For entry into this specialty, completion of high school or general educational development equivalency is mandatory. Also, completion of mechanical or electrical courses is desirable. Completion of both Aircrew Fundamentals and Basic Aerial Gunner are required to obtain award of 1A731. Experience. (Note: See Explanation of Air Force Specialty Codes). 1A751. Qualification in and possession of AFSC 1A731. Also, experience performing as an aircrew member, inspecting, operating, and troubleshooting aircraft and airborne armament systems; performing scanning duties and using NVGs. 1A771. Qualification in and possession of AFSC 1A751. 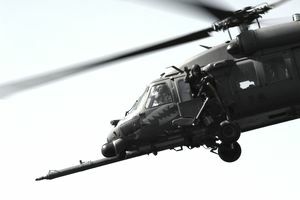 Also, experience performing and supervising functions such as: aircrew duties associated with inspecting, operating, and troubleshooting airborne armament systems, performing scanner duties, NVG applications, ensuring safe and effective weapon employment, aircrew training and evaluation, and the accomplishment of all necessary reports and forms. 1A791. Qualification in and possession of AFSC 1A771. Also, experience in managing aerial gunner activities and functions. Normal color vision as defined in AFI 48-123, Medical Examination and Standards. Physical qualification for aircrew duty according to AFI 48-123, Medical Examination and Standards, Class III medical standards. Qualification for aviation service according to AFI 11-402, Aviation and Parachutist Service, Aeronautical Ratings and Badges. For award and retention of AFSCs 1A731/51/71/91/00, eligibility for a Secret security clearance according to AFI 31-501, Personnel Security Program Management. Required Appitude Score M-60 or E-45. Note: This career field requires initial training at the Enlisted Aircrew Undergraduate Course.